The first couple trips to Japan, almost everything stood out as different. Even the things that were nearly the same still bore some tiny, interesting differences. 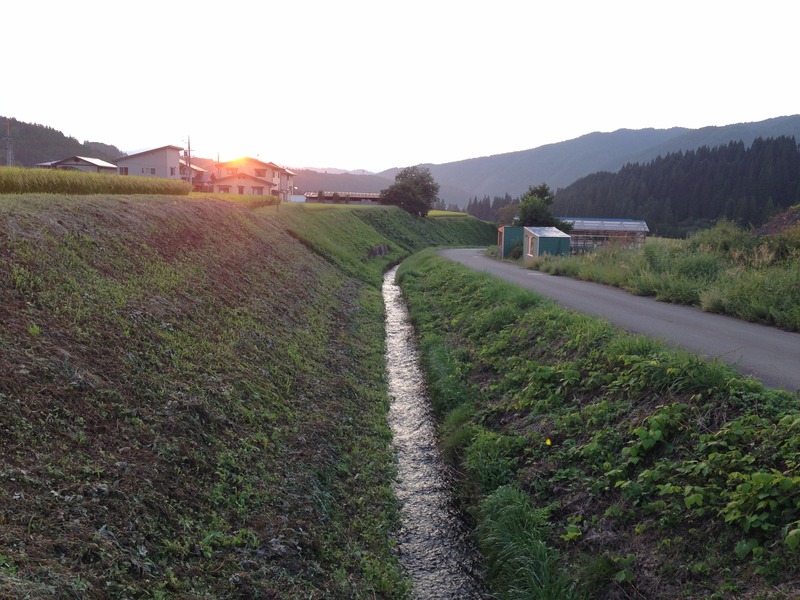 Now 5 trips later, and a month into living in the Gifu countryside – the initial shock has wore off, and the much smaller things which were overshadowed before, stand out a bit more. Not forgetting of course that even a move from a big city to the countryside itself brings many differences, even within the same country. Every once in a while I’d like to note some of the differences experienced in my new daily life. Today I have a small list. It’s more of a sudden pop, a tiny explosion. Rather than the American gradual carbonated burst. Probably due to the different formula. Main ingredient looks like sugar rather than corn syrup. I guess this one should be obvious but even the crows make a different caw than the ones in California. Different animals, temperatures, and spirits. Makes things a bit surreal in the dark. When I would tell everyone I was moving Japan the question I often got was, “Isn’t it expensive there?”. And it’s a bit tough to answer, when comparing the countryside of Japan to the middle of LA. Rent is a fraction of the price here, as you would expect with such a city/countryside comparison. Gas is more expensive, although I’ll be driving far less now. Groceries are more expensive in general and the quantity is noticeably smaller. But quality is definitely higher, locally grown and sourced. Sushi grade fish on the other hand (for sushi lovers like me) is definitely less expensive! In short – it really just depends on what you are talking about. On that same topic. Convenience stores have a dedicated wall of inexpensive food, with lots of healthy options made fresh that morning. And when it’s gone – the shelves are empty. In the US, shelves never go empty and eating from a 7-11 is rather gross considered an absolute last resort. Part of it is probably being in the countryside, but I see it in the cities too. Bikes are rarely locked up and more than likely people leave cars and houses often unlocked. It feels odd to see a long row of bikes completely unsecured, and people leaving valuables out in the open. Understandably, it’s because the crime rate is extremely low. Talking everything really. If it’s an appliance made recently chances are it talks to you. In Japan it seems like in large part, everyday life in Japan mostly deals in cash and every store has their own point card. I’m thinking Americans like seeing the immediate discount while Japanese more prefer to spend points. Also, the American equivalent of a dollar and five dollars, anything less than ~$10 is a coin. Having this many coins is one of many small challenges. I guess I need myself a new wallet with built-in coin purse. I guess this more relates to being in the countryside but the sound of running water is everywhere. And being nearly spring time everyone is turning over the earth preparing their fields for planting and you get the smell of fresh soil. It is very peaceful.